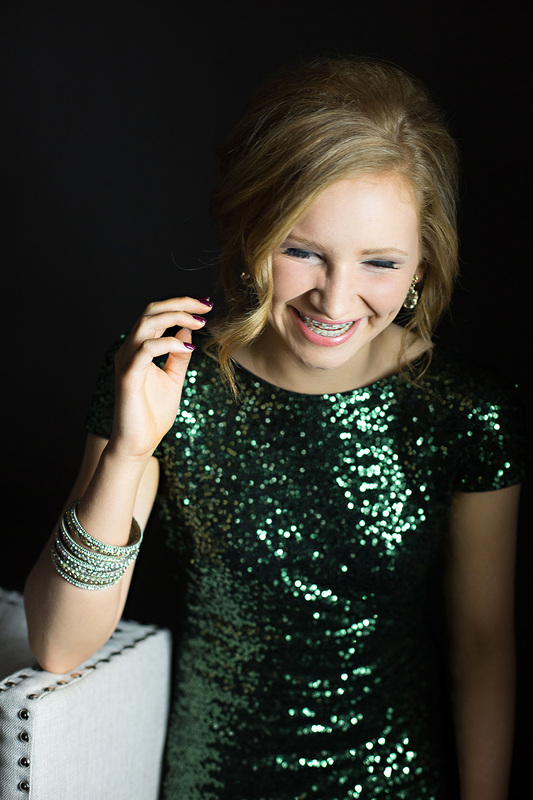 At our studio, your senior pictures are more than just a quick photo session. We truly take the time to get to know each individual client so that we can cater their experience to match their personality. We know what an important time in your life this is and we want to give it all the attention it deserves. After leaving for college, you interests, you hobbies and even your looks will change so it's important that we capture exactly who you are, right now. Our approach is fresh, modern, bold and rich in color. We designed our experience so that you feel beautiful - inside and out. Parents - this experience isn't just for the senior. We want you along every step of the way. This is a chance to spend time with your teenager in an environment that is created for her to flourish. It's truly a beautiful thing to watch and a memory you'll be glad you created together once the craziness of senior year and college ensues. The HF Senior Experience is something you'll never forget. No where else will you sit down with your photographer before your session. We believe this is an absolutely vital part of your senior experience here at Hillary Frost Photography. We want to get to know you - your hobbies, your ideas, your likes & dislikes. Then, we’ll use that information to perfectly plan an experience that fits who you are and tells your story. This ensures that your portraits don’t look identical to your best friend, because we will get to know you on a level that allows us to personalize beyond the standard portrait session. Also, this is our chance to explain our process to you and/or mom and dad. We’ll go over what happens next, your experience options, products, investment and more. We’ve done our homework and we only work with the best, licensed stylists in the area. Our “Elite Stylist Group” will ensure that you have the exact look you want for your experience, all while still looking natural and fresh. Our experiences include professional hair styling and airbrush make-up prior to your appointment, here in our studio, as well as on location with us to ensure you look portrait perfect throughout! We have a space at the studio specifically designed for styling, complete with make-up counter, 7 ft mirrors, hydraulic chair and more. From day one, our studio has always had fun extra items like jewelry and hats for seniors to finish off that perfect outfit. Over the years, our stash has gown so much that we decided to build a real closet! All these pieces are items that any senior in our studio can borrow to wear for their senior shoot! When you come in for your pre-session consultation, you get to browse the closet to see if there is anything you just HAVE to borrow and we’ll reserve it for you on your day! Or, you can choose to just use bits and pieces like just a hat or a statement necklace? Maybe you need a pair of Hunter’s or a tulle or sequin skirt? We’ve got it all and then some! The closet has items from Free People, Anthropologie, J Crew, and of course general staples like Target and Forever 21. The best part is that we are CONSTANTLY adding to it! We have a variety of sizes, styles, brands and colors - Truly EVERY senior will be able to find something here to polish off their senior portraits! For the senior looking to escape the tall grass and barns, we offer many incredible St. Louis locations. All are completely unique and can bring a fun, urban vibe to your experience. Many clients even choose to combine St. Louis locations with country settings as well! We want the session to reflect who you are so the possibilities are truly endless! Studio Fashion does just that. 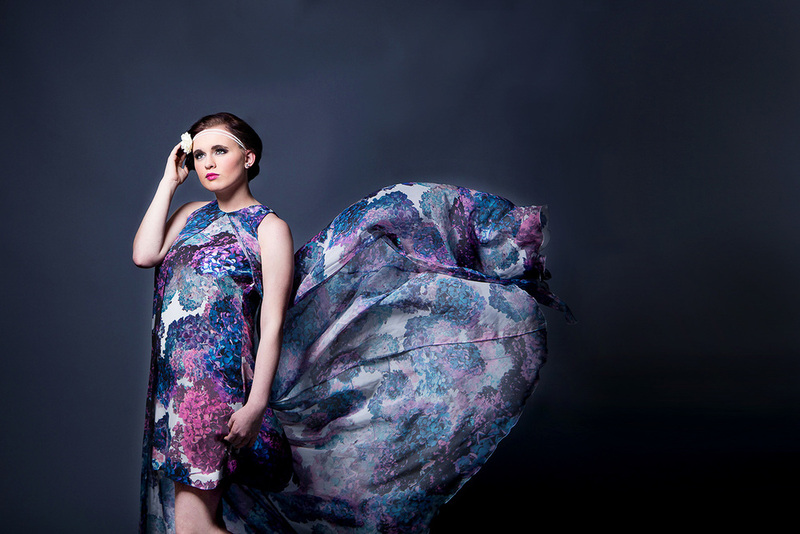 It is a chance to wear real, designer label gowns as seen on red carpets and in high fashion magazines like Vogue. We customize three looks based your preferences/style/ideas and you choose your favorite. The result is having images that not only portray your personality, but could double as a fashion add - truly a once in a lifetime opportunity. It is a portion of a Full Experience where the images will stand out, head and shoulders, over everyone else’s. No where else can you experience this! We offer a wide variety of products such as prints, wall portraits, albums, collection boxes, digital files and more! Prints and products start at $65. We frequently get asked... Do we sell digital files with the right to reprint? Absolutely! Here we can choose and plan an experience that perfectly matches your personality! The Welcome Box is a unique gift to help you prepare for your session! It includes LOTS of amazing goodies! But, the most incredible one is our printed What to Wear Magazine to help guide you through choosing the perfect outfits for your experience! Whether you are a country girl, love the city vibe, the fashionista, or you just love it all - there is an option for everyone! A licensed professional will style your hair and apply your makeup prior to your session. She will also come to locations with us for touch-ups and adjustments, like braids, top knots, lip color changes, and more! In the days following your experience, we will post 3-4 sneak peeks on social media to share with your friends and family! About 10 days after your senior experience, we invite you and any decision makers back to view your images. Hillary will explain all of the different product options and packages, we’ll watch a video of your images, and you'll pick out your favorites! Be sure any decision makers are present that evening, as this is when you will place and pay for your order. Full Experience Options Start at $349. Our basic sessions start at just $99 and includes 2 outfits in the studio or local to Breese, an in-person ordering appointment, and a complimentary yearbook photo. Contact us to chat and receive our 50 page Senior Magazine! It explains everything from what it’s like to work with us, our process, more FAQs, prices and more!